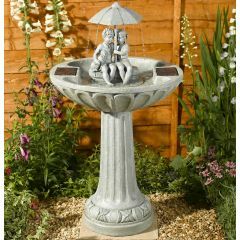 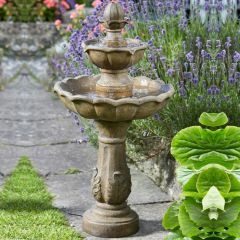 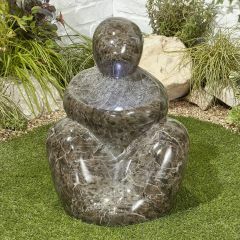 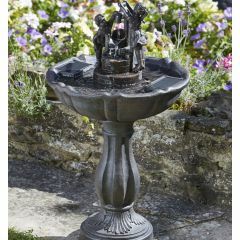 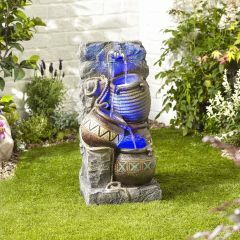 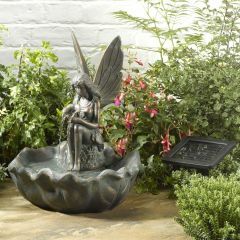 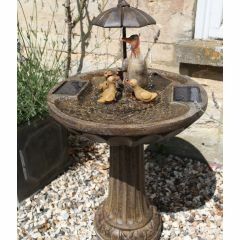 Our outdoor range of water features include rockfalls, woodland trunks, duck gamily, dancing couple to name just a few. 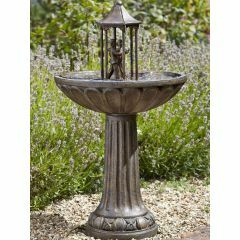 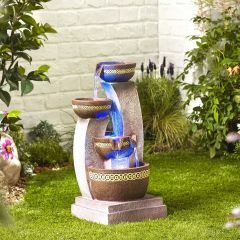 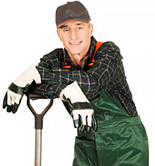 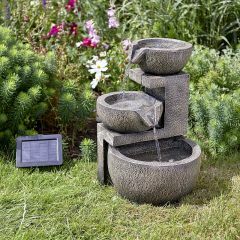 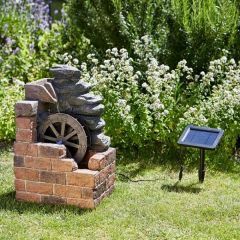 We have solar water features for places where electricity is difficult or electric water features. 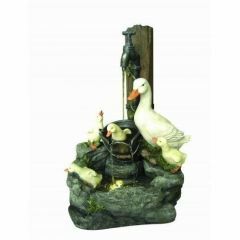 Some een light up at night.